Historically the Percentage of your income needed to afford a home vs. renting was a much closer margin. Making renting make sense. 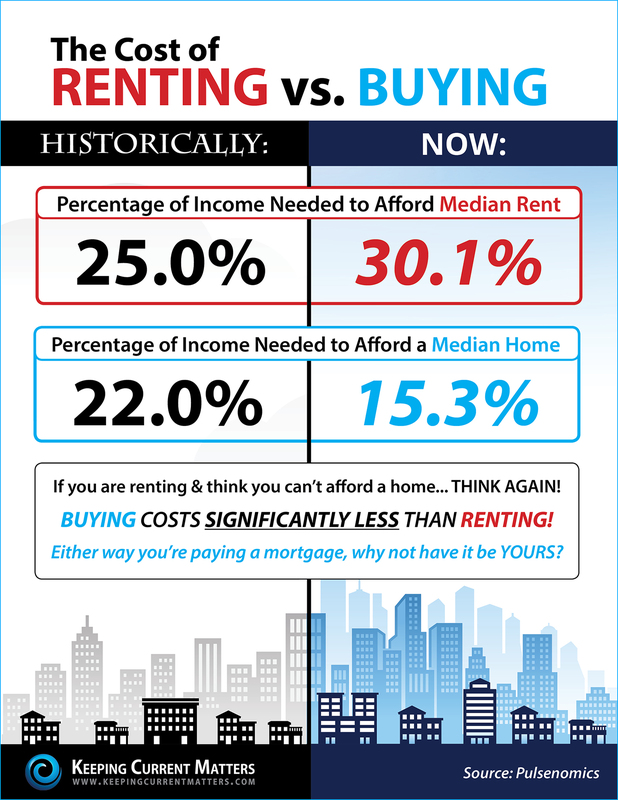 Now… Renting will cost you 30.1% of your income compared to buying a median home at 15.3% of your income. Either way you’re paying a mortgage… why not have it be yours?